This blog post is about six months too late. But I don’t care. This is my excuse to talk about John Mayer’s album, Battle Studies, which I haven’t gotten to fully listen to at the time. It’s because in the middle of dating Jessica Simpson and Jennifer Aniston, I got a little turned off by John Mayer. Nevertheless, I should never ever again judge John Mayer based on his dating choices and erm, performance. Because at the end of the day, he still is the talented man responsible for Room for Squares. So, basically, this was my reasoning when I decided to watch his concert. I only decided like a week before October 1. I rushed to the Open Grounds after work, and I rode jeepneys after jeepneys as it rained down, hard, with the thought of John, singing my favorite song from Room for Squares, which is Not Myself. I met up with my friend outside and bought tickets then and there. Since it was raining, it proved to be hard to be excited over something. If it wasn’t raining then, there’d probably be more screaming and singing, and dancing along. 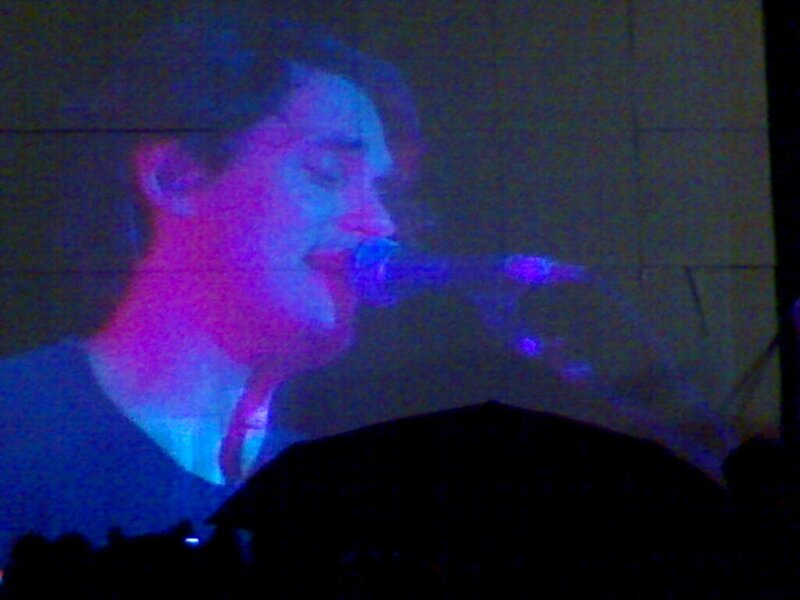 But since it was raining, we all just ended up holding on to our umbrellas trying so hard to sing along to his songs. John came out a little late but he opened up with “Vultures”, an interesting choice for an opening number since it’s not really something that could get people extremely excited. Then again, the thought of having John Mayer right there on stage was enough to get some people screaming and standing on their seats. The rain poured the first half of the concert, but I was happy enough to find his hits “No Such Thing”, “Waiting for the World to Change”, “Your Body is a Wonderland”, “Who Says”, “Gravity”, and “Half of my Heart” on his set list. I got extremely excited over “Heartbreak Warfare”, because John was playing with his guitar for a while, and me and my friend started to play the guess-what-John’s-playing-next game — well, okay, maybe I mostly played the game and I guessed “Heartbreak Warfare” right. At this point, people at the Gen Ad area were feeling a bit sad because they’re wet, but the rain stopped before the whole concert ended as well. I’m not gonna post my video because you might just end up deaf with all my screaming and out of tune singing. So…a bad photo of John and umbrellas instead! Just last month, I got my copy of Battle Studies and first fell in love with “Edge of Desire”. I found out that that was John’s encore song. I didn’t get to appreciate it at the time because I wanted him to sing “Back to You” or “Not Myself” (I never gave up) instead. So, this is the lesson: If you’re planning to go to a concert, refresh memory and update. Learn new music. Review old ones. That certainly worked when I watched Taylor Swift’s concert. Oops. Did I just get these two connected in my blog post? That night, after the concert, we decided to get coffee and named our cups of coffee Jennifer. One was supposed to get a Jessica, but two Jennifers could work. One for Aniston and one for Love Hewitt. 🙂 While this night made my toes all crinkly because we were soaked, I didn’t really mind. For a while there, I felt like my 14-year-old self – the one who listened to Room for Squares every day before and/or after school, right before my brother decided to ‘borrow’ the copy and lose it. Got to love John Mayer. Even though he has become a bit douche-y over the years. I thought that Battle Studies would disappoint me. But then 'Edge of Desire' happened. I love your blog, btw.